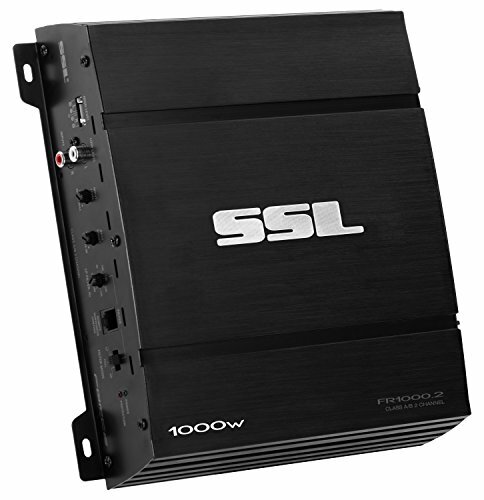 Put your vehicle's audio system into overdrive with the Sound Storm Force FR1000.2 2-Channel Class A/B Full Range Amplifier. This 2-Ohm stable Amplifier features 1000 Watts Max Power with a MOSFET power supply for quality sound. Customize the sound with Variable Low Pass Crossover, Fixed High Pass Crossover and Switchable Bass Boost. Pump up the Bass vibes with the Remote Subwoofer Control. Bridge Channels for even more power and flexibility. The Force Amplifier Series has long stood as the ideal combination of quality, power and value, proving you don’t need to break the bank to sound like a million bucks. Give your audio a boost with the Sound Storm FR1000.2. For more product details, please scroll down. Dimensions: Depth 9.1" x Width 9.7" x Height 2.4"